Intelligent Protection International Limited has a great deal of experience in working in France and is the only UK Close Protection provider to have an official office in France and be registered with CNAPS, the French Security Licensing authority. Our vast experience ranges from providing Close Protection for stars at the Festival de Cannes and the Deauville American Film Festival, providing security for Clients at the Paris Air Show through to product launches in Paris and also includes family ski trips in the Alps and summer yachting vacations in Saint Tropez and of course Monaco. If you are interested in Bodyguard services in Paris, please do visit our Paris-specific page: Bodyguard Services in Paris. Just like any other country in Europe, France has a degree of security concerns, the cities can be dangerous with virtual no-go areas after dark. For up-to-date security and terror information, see our free travel advisory: France Travel Advice or for Paris specifically, see: Paris Travel Advice. Our Close Protection Services for France are built on bilingual English-French operatives, all of whom are highly trained, experienced and all former Military or Police. Close Protection in France is regulated by CNAPS; this is similar to the SIA in the UK, but is regulated at both company and staff level, therefore licensing is required by both. 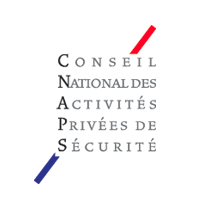 All of our Close Protection Operatives that carry out Bodyguard or security duties within France are registered with CNAPS and all have the relevant qualifications including First Aid qualifications. Please feel free to contact us to discuss any requirements that you might have for Close Protection in Paris or the wider area. Our French Management know Paris very well, its security risks and of course, the best restaurants. Many of our Close Protection Operatives and Management speak both French and English; and some speak German and Spanish too; so communication is no problem. We are often asked if we can provide Close Protection Operatives for skiing vacations. Intelligent Protection International has a good number of skiing Close Protection Operatives, some are British and French qualified ski instructors. One or two have also represented Great Britain for winter sports. For more information on these services, please see: Skiing Bodyguards in France. Every May the Festival de Cannes is held in the city of Cannes in the South of France and attracts visitors from around the world. If you are interested in attending and require our Protective Services for the event, see our page: Festival de Cannes. If you have any questions about Close Protection Services for France, please do contact us and we will answer any questions that you might have.